Join the My Super Sweet Sixteenth Century #FlirtSquad! My Super Sweet Sixteenth Century is about to be unleashed on the world and Rachel Harris NEEDS YOUR HELP! You could win great prizes, including your chance to become a character in a future book by the author, Rachel Harris! 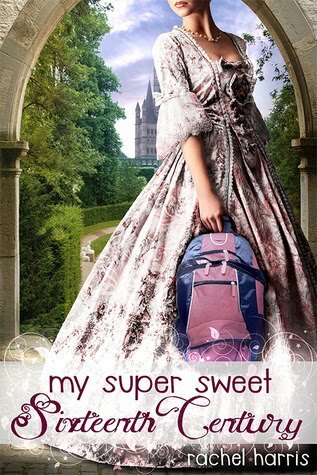 Fourth Prize Level: All prizes above PLUS a special note from me inviting you to the sequel to My Super Sweet Sixteenth Century, A TALE OF TWO CENTURIES, including a special sneak peek! ALL Participants Who Reach Fifth Prize Level: All prizes above PLUS an entry into a drawing to make a special appearance as a character in a future book. And the FIRST to Reach the Fifth Prize Level: Wins all the prizes above PLUS a sparkly tiara (you ARE an official Sweet Sixteen diva now after all), and a special necklace with the cover of my book as a charm. The way you reach each of those prizes depends on how much enthusiasm you have for My Super Sweet Sixteenth Century! You’ll be tweeting, sharing info on Facebook, blogging, creating buzz and pretty much just sharing your love for a great book and a fabulous author! Let out your INNER FLIRT! So… How do I join? Important: Mention in your email that Ali B. @ little paint chips referred you to the Flirt Squad! That’s it! You’re in! Rachel will give you further instructions from that point on.